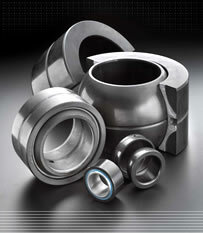 RBC Bearings has been providing engineered solutions to customers since 1919. Today, RBC Bearings has grown to provide global industrial, aerospace, and defense customers with unique design solutions to complex problems and an unparalleled level of service, quality, and support. 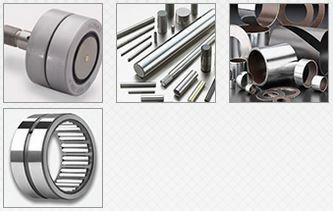 RBC manufactures highly-engineered precision plain, roller and ball bearings, shaft collars, rigid couplings and keyless locking devices. However, in addition to designing and manufacturing products in these major product categories, RBC also excels at solving the most demanding and difficult application problems with solutions that improve customers’ products and process performance and deliver the lowest total cost of ownership. This has been achieved by providing products such as maintenance-free bearings and components, and bearings designed to withstand environments with extreme temperature, high speed, contamination, corrosion, and severe shock loading. Spherical Plain Bearings – RBC continues to introduce industry-leading innovations in spherical bearing technology, such as: high misalignment, angular contact, extended inner ring, tapered bore, case carburized, and enhanced lubrication groove designs. These advanced products are used in pivoting, high load bearing applications where angular misalignment is required. Most typically, RBC spherical plain bearings are employed in hydraulic cylinder rod ends, vehicle steering linkage suspensions, heavy equipment articulated joints, and other severe duty uses. NICE® Ball Bearings – Includes a complete line of precision ground, semi-ground, and unground bearings and bearing assemblies. Standard series ball bearings can be customized to include many features that can satisfy the demands of many special applications. Cam Followers – RBC produces a full line of cam followers from 1/2 to 10 inch outside diameter sizes with a variety of: RBC Roller Cam Followers, Standard + Heavy Stud Series Cam Followers, Standard + Heavy Stud Series Crowned Cam Followers, Cam-Centric Adjustable Cam Followers, Yoke Rollers – Cylindrical + Crowned O.D., Pitchlign Caged Roller Followers and more. Pins, Rollers, Shafts – RBC manufactures rollers and pins in a large variety of configurations and materials ensuring that you will find exactly what you’re looking for. Heim Rod Ends – Rod ends offer ease in mounting and adjustment of position in installations such as mechanisms, linkages, and control rods. Rod ends also provide a compact, lightweight, economical design alternative to a conventional housing installation. Rod End Series’ options include: Precision, Commercial, Metric Product Line, Precision Aircraft, Military, Ball Bearings and Elastomeric Bearing. Heavy Duty Needle Roller – With many sealed and unsealed configurations and an assortment of designs available, the RBC Pitchlign® SJ and TJ TandemRoller® heavy duty needle roller bearing designs are easy to install and are especially beneficial in compact designs because of their high load capacity and small sectional height. Tapered/Tapered Thrust Rollers Bearings – Tyson Tapered Roller bearings offer: logarithmic profiles, a precision finish and case carburized bearing quality steel. RBC Tapered Thrust Bearings allow for heavier loads and offer: sealed and unsealed versions, case carburized bearing quality steel and size ranges from 1 inch to 3 inches bore diameters. Thin Section Ball Bearings – Engineered to solve a variety of design problems, such as space limitation and weigh restrictions, that cannot be solved with conventional ball bearings. They are light-weight and have: multi-load capabilities, high stiffness and a variety of cross sections and sizes. Special designs tailored for your specific applications are available, as well. Partnering with RBC Bearings has allowed IBT to continue holding true to our philosophy of providing high-quality products and solutions to all customers. They have enhanced our customer solutions and experience, further diversifying our product offering. RBC currently has 31 facilities in five countries, with manufacturing in 28 locations.